I think you all know by now how I feel about comfort and fashion. I am perfectly fine with the fact that sometimes fashion hurts. It is not easy to be stylish. It takes work. Commitment. Dedication. And often, sore toes. I have accepted the fact that fashionable footwear can even be dangerous. It’s worth it to me to walk perilously on icy sidewalks in high heels. I have been known to trip over sidewalk cracks in my platform flip flops. And yes, my toes have been frozen for a good month straight now because of my determination to wear open-toed shoes in this so-called spring weather. I found this experience so strange and out of the ordinary that I stood staring in the mirror at the shoe store for about 20 minutes, trying to be sure that the shoe on my foot really was stylish. Could it be? I could feel the padded comfort under my foot. And yet, as far as I could tell, the toe sticking out from under my jeans really. was. cute. But I actually did not get the blue suede, even though that was my favorite. 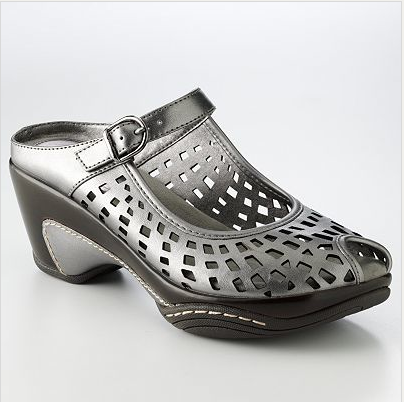 Or the pewter… even though those are cool. 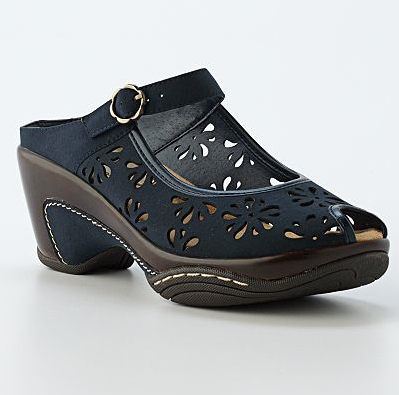 Instead, I was much in need of some type of shoe to wear in what is becoming a dreadfully long season between the two main seasons of the year: “Boots” and “Flip flops.” So, I went with the clog. And can I tell you that my toes are so warm I can barely stand it? I’m still in amazement. And I will confess that when I wake up in the morning, feeling groggy and dreading the start of the day, I think about putting on my comfy shoes, and I jump out of bed. How about you? Do you have a favorite fashion item that is both comfy AND cute? Please share. Oooooh, those ARE cute! Do they come in black? 🙂 (The closed toe one) Where did you get them? Ummm… Well… I failed to admit I bought them in brown AND black. 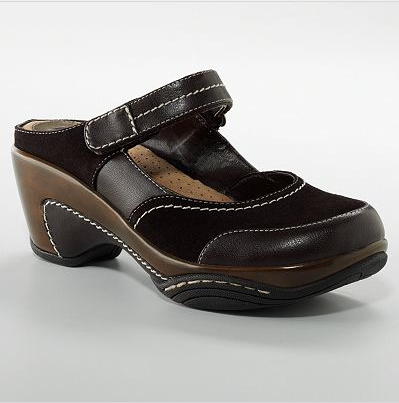 😉 buy one, get one half price at shoe carnival… Kohl's carries them, too, but each store had different styles in stock. Yay- that worked! Should have tried this before…I love the shoes! Finally something cute & comfortable! I think you need to take me shoe shopping.